Clean Up. Remove toys and rake up leaves and other debris. If this is not done, the grass will not get the sunlight required to keep it healthy. However, the same rule does not apply to mulching, as disbursing the clipping onto the grass actually provides it with water and nutrients. Water. If watering is necessary, it should be done by midday. Doing this will ensure the water soaks in before freezing temperatures set in at night. Pooling water in certain areas of the lawn could cause damage once it freezes. A more infrequent and deeper watering pattern will help to beef up the rooting system. Cover Plants (if necessary). As necessary, make note of weather patterns and provide cover for your plants to avoid freezing. Either cloth or plastic covers can be used. Cloths covers are said to provide better coverage; however, they can become weighed down and heavy when they get wet. For plastic covers, you can prevent them from touching the ground by using stakes around the plants. It should also be noted that if any part of the plant touches the plastic, the plant could still freeze. Do Not Walk on Frozen Grass. The crunch heard while walking on your frozen lawn could actually be the sound of grass breaking. Therefore, you should avoid mowing or walking on it. 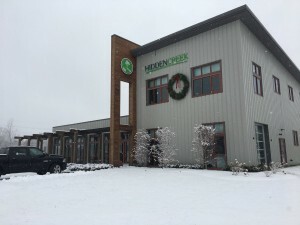 Even in a dormant state, the look of a lawn that gets a good amount of traffic during winter will be negatively affected when spring comes around. 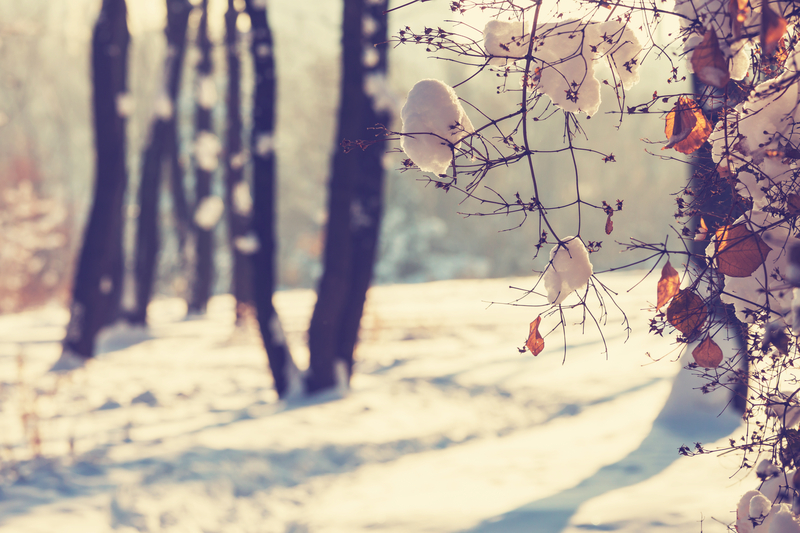 Following these winter landscaping tips can help you to preserve a beautifully manicured lawn. It could actually become the envy of the neighborhood when spring comes around. You’d think that because our ancestors thrived through the stone age making tools from sharpened wood and stone, we would have inherited some kind of genetic influence that makes selecting, splitting and stacking would a matter of instinct. However, like all things in nature, there’s an art to it. Here are a few handy winter landscaping tips on selecting, splitting and storing firewood for the coming winter. The Selection Process. There’s no ‘one size fits all’ when it comes to selecting firewood for the cold winter months and it all boils down to personal preferences. If you are hands-on type then you might not like to purchase firewood the gas station, like most of us do. The time just after winter when spring has just rolled into life is the ideal time to forage for fallen trees. As timing is of the essence, such wood must be given ample time to dry up otherwise it will be smokey when burning. On the other hand, you may not fancy getting your hands dirty and prefer buying your firewood that is already cut and ready for stacking and storage. In that case, buy in advance before winter demand crawls in and only buy seasoned wood that has dried up sufficiently. Another thing to remember is to purchase hard woods like oak, mahogany and eucalyptus, as opposed to pines and redwood, that burn much faster. Wear protective gear ALWAYS, particularly eye wear and safety shoes. Stacking and Storage. To pen off, a word about perfect stacking. Stack in a way that allows for sufficient airflow, and at the same time, leaving space for settling as wood shrinks as it dries. You also want to store your firewood in a dry place to avoid rotting caused by rainfall and termites. Certain things don’t require you to be a rocket scientist to know that something is amiss, somehow. So you’re greeted by a chill in the air the moment you step outside late at night, or early in the morning. It’s getting dark a lot earlier than normal and the flowers, bushes and trees around your yard appear paler, almost morose like. This only means one thing, and one thing only: Winter is here! If you love your garden to death like i do, you should be all over the place like a headless chicken, frantically trying to preserve what’s left of your once vibrant vines, rosebushes and shrubs. 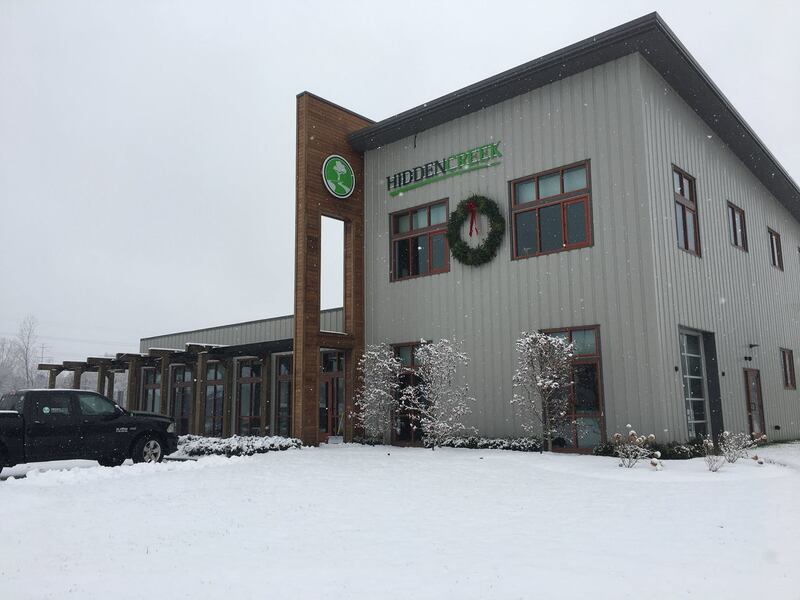 Winter landscaping is not a walk in the park like most people would like to believe. Which is why you need professional landscaping company to show you how it’s done. Frost bite is not exclusive to humans, nature experiences is too. Insulating your plants prior to winter is surely a must if some of them are prone to ice or cold damage. One traditional method that springs to mind are containers of water that are placed around plants. Rather than attacking your vegetables and flowers, the cold -ice included- is absorbed by the water, thereby providing much needed insulation. Modern methods have, however evolved over the centuries, and now we have garden fabric which is tied around plants to trap heat and bring about the same effect as the aforementioned method. 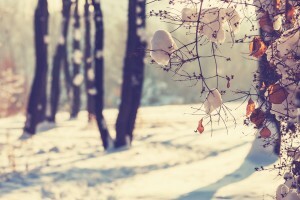 Winter may not provide much scenic beauty but it doesn’t hurt to prepare for springtime. Mowing the lawn and fertilizing it with garden or lawn manure ensures that your garden springs back to life with increased effervescence. Next thing on the menu is the trimming of bushes and hedges. This aids in preserving important nutrients for the arrival of spring. There is no beating around the bush when it comes to planting seasonal flowers that do well in winter. We will decorate your garden with life defying Acacia’s, vibrant carnations, charming orchids or simple lilies if that tickles your fancy. Last but not least, remember to consult with a professional landscaping company. Landscaping is hard work, but your beautiful surroundings don’t have to suffer because you hardly have enough time, or the spirit to do it yourself. The colder temperatures that are synonymous with the holiday season can make it less comfortable for patio lovers to entertain outdoors. However, with proper preparation, a bit of creativity and the entertaining tips below, you will be able to make the space warmer and continue to host parties during the holidays. Fire Features. 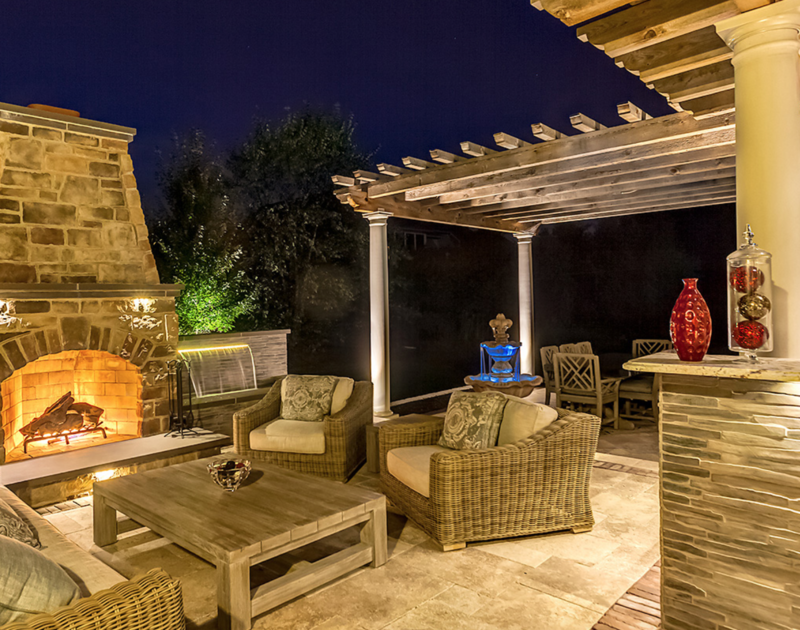 There is no better way to bring heat to your patio holiday party than with a fire feature. 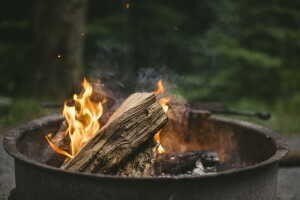 There is the option of using temporary or permanent fire pits of fireplaces to keep guests warm. Fire Pits. Fire pits are more budget friendly and can be strategically placed around the patio to maximize comfort. The portable ones can be brought in when needed and can immediately warm up the patio. One or more permanent fire pits can be ignited before the party to ensure the space is warm and comfortable for arriving guests. For homeowners who are concerned about the visual impact of the landscape design, the better option is permanent fire pits. They can be professionally built to complement the overall landscape design. Fireplaces. 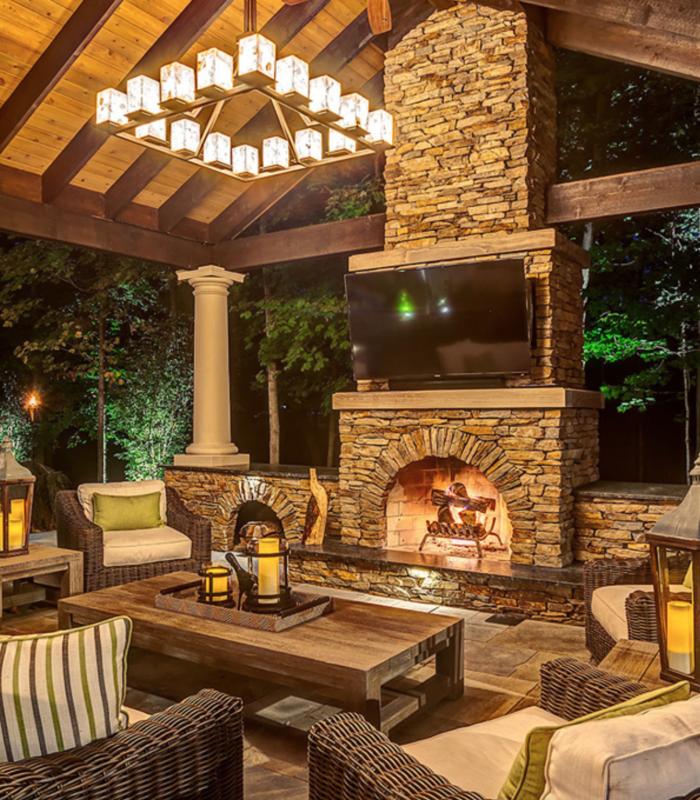 Outdoor fireplaces are great additions to any outdoor holiday party. Not only are they highly functional, they can serve as the centerpiece for the entire backyard. There structures are visually appealing and will bring warmth and great vibes to your celebrations. This option is more expensive than fire pits; however, it also offers a lot more in terms of function and visual impact. A professionally designed outdoor fireplace, which complements the patio or other landscaping features is ideal if it falls within your budget. You can also visually warm up the patio by decorating with upholstered cushions, blankets and pillows in vibrant holiday colors. In addition, you could consider using a rug to add to the warmth and coziness of the patio. Braxton Culler. This brand of outdoor furniture has a large number of weatherproof pieces. Many of their outdoor furniture pieces are handcrafted from extruded resin and materials resin weaves; this makes them totally weatherproof and ideal for use throughout the year, including during the winter season. Each collection has Xylan-coated hardware, high-density materials and fade-resistant plastic that is 90% recycled. These materials and technologies safeguard your patio furniture against even the harshest of winters. Ebel. Ebel Inc. is headquartered in Jacksonville and they are renowned manufacturers of incredible outdoor furniture and appliances. They are committed to manufacturing strong and durable products and ensure the pieces are low maintenance to heighten consumer satisfaction. They endeavor to operate in an environmentally responsible manner. They do this by reducing the amount of waste generated during the manufacturing process and decreasing the quantity of harmful cleansers required for cleaning and maintaining their products. Additionally, all of their weather wicker and aluminum pieces are 100 percent recyclable. Their teak wood is also harvested solely from sustainable plantations. Along with their remarkable collections of patio furniture, Ebel offers a wide range of fire pits. These are sure to keep your patio warm when entertaining family members and friends. These are just two of the many notable brands of patio furniture that can be used during the winter season. With durable, weatherproof furniture, actual and visual warmth and a bit of creativity, you can safely and comfortably use your patio throughout the year.